The Peak is often dubbed Hong Kong’s most spectacular destination, but even just getting to it can be almost as spellbinding. The Peak Tram opened in 1888 for the exclusive use of the British governor and The Peak’s residents, but today it can be enjoyed by everyone as the steepest funicular railway in the world. The journey takes only seven minutes and is a visual experience to remember, as skyscrapers glide past at what appear to be impossible angles while the tram makes its ascent. 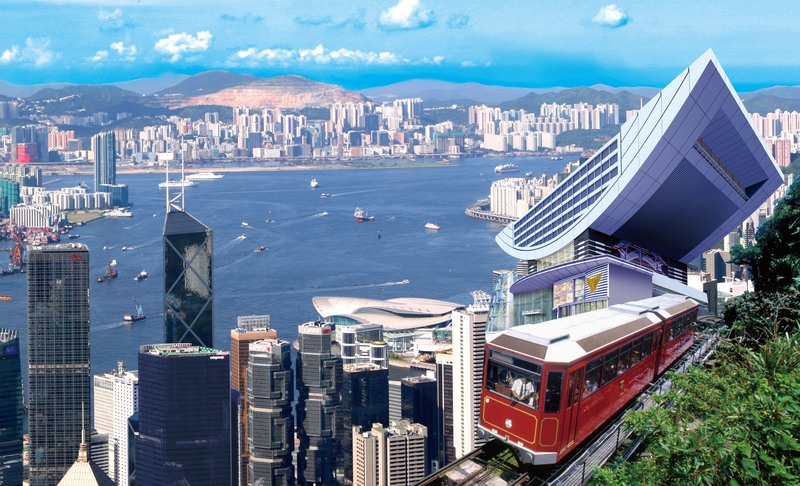 Standing at 428 metres above sea level, is the highest viewing platform in Hong Kong offering a stunning 360-degree panoramic view across the Hong Kong. An added attraction on the terrace is The Sky Gallery, which now displays 17 historical photos, through which you can step back in time to the old Hong Kong and see how our Hong Kong has changed. Please note that the Peak Tram will be undergoing a renovation programme from 23rd April with completion date expected to be 2 – 3 months after. The product will be suspended until further notices, thank you. Want to avoid the long line up? Join one of the following tours, including hotel pick up, priority boarding from the group tour lane and many more! Price includes Round trip Peak Tram ride and Admission to Sky Terrace 428.